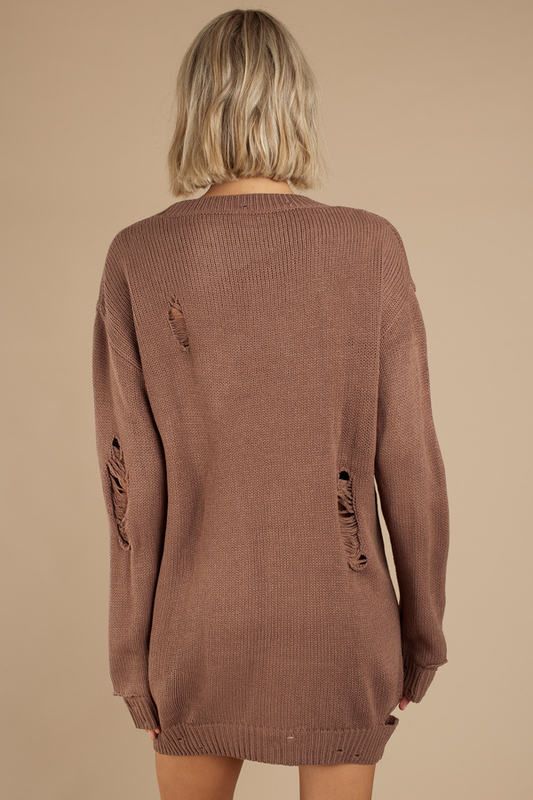 Check out Tobi's Kim Distressed Sweater Dress The sweater dress just got edgy. We've slashed and ripped the Mocha Kim Distressed Sweater Dress in all the right places to update this casual dress. This destroyed sweater dress features a crew neckline, thumb holes on the sleeves, and an oversized, chunky fit. Add lace up booties and your best attitude to this slouchy sweater dress.